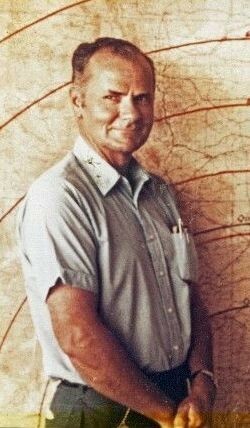 Wallace A. Scott was born in Van Horn, Texas on July 4th, 1924. He has lived in Best, Texas (two years), Iran, Texas (ten years) and Odessa, Texas since 1936. He started flying in 1942 at the age of 18. At 19 he became a civilian instructor for the Army Air Force Training Detachment in Ft. Stockton, Texas. He trained six classes of cadets before joining the Ferry Command, later known as the Army Air Transport Command, or ATC. He was stationed for short intervals at Love Field, Dallas, Texas; Randolph Field, San Antonio, Texas; the Officers Candidate School (OCS) in Nashville, Tennessee; Palm Springs, California ATC after receiving his commission 3 June, 1944. He was in Palm Springs until October of 1944 ferrying aircraft and wounded personnel from coast to coast. He became proficient in the following aircraft: Piper J2, J3, J4, J5 Cubs; Taylorcraft; Culver Cadet; PT-17, PT-19, BT-13, AT-6, AT-11, C-45, C-46, B-17, B-24, B-25, A-20 and yearned to fly the P-38 but never did because he was shipped overseas in October of 1944. He then was stationed at Grove, England and in Paris, France at the Le Bourget Airdrome, where Lindbergh landed in 1927. During his stay in Paris, he had many interesting experiences during the Battle of the Bulge, and he built time in the C-47 carrying passengers, supplies and evacuating wounded to England. In February 1945 he transferred to Dum Dum Airfield in Calcutta, India. There he flew C-47s and the venerable C-46 and he became Air Force airline pilot, instrument check pilot, route check pilot, green card holder, staff first pilot and garnered many interesting experiences. On one flight he delivered a C-47 load of gold for Chiang Kai-shek into Burma. He flew into the Assam Valley, Burma, Siam, and French Indo China. He came home on Dec. 24, 1945 to New York City, He met his wife Boots in 1946 after the turn of the year. His first sailplane ride was in 1961 and he was soloed by Alvin Parker. Since that time he has logged nearly 6,300 hours in sailplanes and nearly 300,000 miles of cross country flying. His sailplane was on display for three years at the Smithsonian Air and Space Museum in Washington, DC. He has won the Barringer Trophy for the longest non-contest, straight-line flight of the year 20 times in the last 25 years (1967-1971, 1973, 1975-1980, 1982, 1983, 1986-1990, 1993). 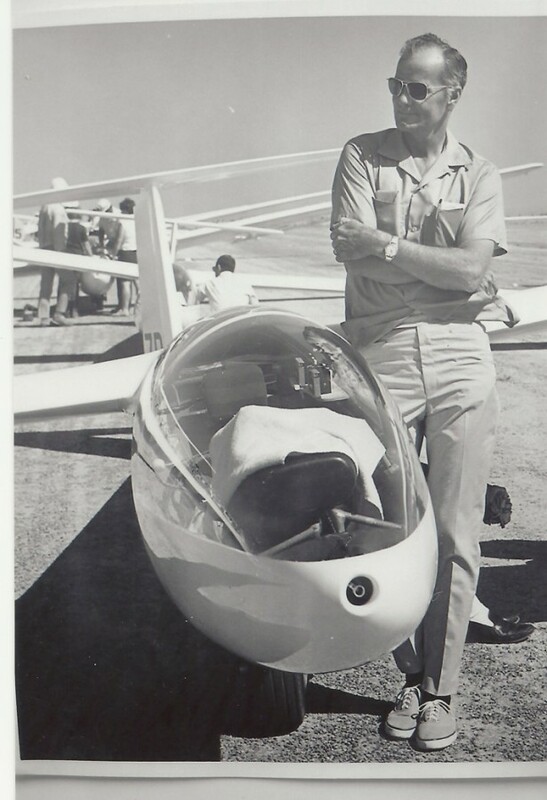 He has been on two world teams, and served as an official on three other world glider meets. He has been on five Smirnoff Sailplane coast to coast Derbys, winning twice. In 1986 he was one of five Americans invited to Santiago, Chile, to participate in the inaugural "Exploration de los Andes" by the Club de Planeadores of Santiago. He has held four world glider records and numerous National and State records. He is the only man in the world to have held all recognized world distance records (at the time - straight line distance; straight line distance to a goal and return; and straight line distance to a declared goal) simultaneously. As a matter of interest, he has accomplished this feat twice. He won the Barron Hilton Cup in 1982 and 1985. The rules were changed from distance flight only to triangle distance only - so he won again - prompting another rules change - now if you win, you can win only once - making more room for additional winners. His last long flight was 808 miles out and back in August 1998. The last time he flew. He holds Silver #481 (1961), Gold #122 (1962), Diamond #42 (Intl #408, 1965), 1000 K Diploma #3 (Intl #4, 1970). He received the Stroukoff Trophy in 1969. Wally Scott likes to fly! !